Another American tourist is missing in the Caribbean. This time the place is Saint Maarten, Netherlands Antilles and the persons name is Leta Lynn Cordes. Could Saint Maarten become the next Aruba? 49 year old Leta Lynn Cordes has been missing since last Friday, January 11, 2008. According to her husband, Frank Cordes, who was the last person to see her, she walked to a nearby hotel to go gambling. That was the last anyone has heard or seen from Leta Lynn Cordes. For further updates and information, go to MissingExploited.com. I know I don’t post often, too tell the truth I don’t read everyone who post, but only those that I know will say something interesting. This is a worn out cliché, but maybe not to all. If you go East, and continue forever, you will always be headed East. Thus comes the saying (which is Biblical) as far as the East is from the West. If you head North, at some point, you will be heading South, and then North again. I hate to say it, but I think the ocean search is a headed East kind of search. There is no possible end to it. I don’t think if Natalee was dropped off at sea, that she was put in a crab cage, but rather put in a large suitcase with rollers, with weights added, and our friend Steve the D.J. dropped her off the Tattoo miles out to sea. A search of the landfill would be a headed North search, and I feel Natalee is there. I always believed Junior. Ladies, don’t go anywhere where you can’t legally pack heat. so that leaves..the US, Canada..and thats it. I posted this story on an earlier thread. 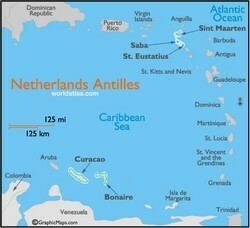 More fuel for a boycott of not only Aruba, but all the Netherlands Antilles. By the way, according to the story I posted on an earlier thread, the local police in that area said that this woman was a permanent resident in the area. But her friends said she wasn’t. Another case of police incompetence … at the very best? Let’s see how “diligent” they are in trying to get to the facts of the case. On Sunday, Jan. 13th my wife and I were eating at a restaurant called “Mama Pizza” just up the street from the Westin mentioned in this story. At the table next to us was a man and two women. We overheard their story. At the time, we gathered that there was a woman they were looking for. And, that this woman was someone who has done this type of thing before. There was also mention by the man at his confusion about why the police seemed to be building a case against him and not looking for the missing woman. They also mentioned that they had canvassed the hotel and none of the employees could confirm having seen this woman. My wife and I were confused, we didn’t have the whole story. Turns out that the three people having dinner at the table next to us was the missing woman’s husband, her friend, and her mother. include the YOUNG and beautiful. You mean she just goes missing for weeks at a time? I hardly think that is the case. She would be missing and this is probably not going to be a good outcome. I have no idea what was meant by that comment. I’m just repeating what we overheard. Perhaps they were talking about someone else entirely. Or, perhaps they were talking about Cordes in reference to some other action. It appears employees of the hotel now confirm seeing her at the casino. However, at the time, they most definitely were speaking of how no one at the hotel could confirm she had been there. They seemed to be confused as to how this could be and mentioned that they would be going over surveillance tapes. Oh, and yeah, I don’t see how this could have a good outcome. That area isn’t well lit, but neither is it well traveled. It’s rather quiet and sleepy. Also, she would not of been walking very far at all. The villa is in a security gated community. If Leta walked to the casino, she would walk by the security guard. The husband drove to the casino later that evening, but was not properly dress to go in. Did he see her come out of the casino? The casino claims she was not there that evening. The husband claims, soon after Leta left the villa on foot, he navigated his way on a washed out, pot hole, dirt road. He left his mother in the villa and drove without shoes or shirt to the casino. The walk to the casino at night is difficult even with sneakers. What kind of shoes was Leta wearing? What is the timeline to when the security guard opened the gate for the husband to leave and then return? How can Leta’s friend have been at “Mama Pizza” with the mother and the husband on Jan 13th? She returned to the States on Jan 4th! And by the way, Leta has never disappeared before. Man, you are confused. If you don’t know the facts or the people, don’t speculate terrible things. You have no idea how much you are hurting innocent people as you hide behind your anonymous keyboard. All of these crazy ideas are based upon incomplete and misleading reporting. I’ve read most of the articles and heard alot of TV news stories, the facts are all different amongst them all and some of these “journalists” didn’t even bother to check out the facts or even if they were pronouncing her name correctly. Don’t forget how tragic this is for family and friends of Leta, we can read. There was a woman with Frank and the older woman (his mother, we assume) at Mama Pizza that evening. We were sitting near the three of them. I’ve looked at the pictures and I don’t believe the woman was Cary Honstein. But based on the conversation we overheard she did seem to be a friend of Leta’s. And nobody said that she had disappeared before. They did say that she’s done this sort of thing before. After reading the articles when we got home we assumed they meant that she’d walked to the casino before. My husband was just relaying what we overheard. We’re sorry for your pain. I hope she is found soon safe and sound.